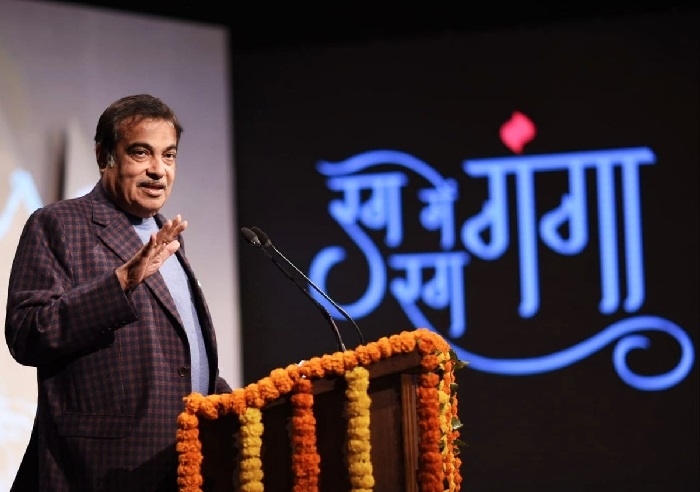 New Delhi, Jan 31: Union Water Resource Minister Nitin Gadkari today launched a special television series “Rag Rag Mein Ganga” which will be aired on Doordarshan. The 21-episode series will depict River Ganga’s journey from Gomukh to Gangasagar. The travelogue series will also focus on the transformative efforts taken by the central government to keep River Ganga clean. Shot with state-of-the-art techniques, renowned Television personality Rajeev Khandelwal will host the show. “Rag Rag Mein Ganga” will be aired on Saturdays and Sundays at 9 PM on DD National. The innovative travelogue series is a joint venture of Doordarshan in association with National Mission for Clean Ganga (NMCG). Lauding Doordarshan for its innovative production, Union Information and Broadcasting Minister Col. Rajyavardhan Rathore said that “Rag Rag Mein Ganga” travelogue series will make people aware of the sacred mission of Ganga cleaning.